It’s the first Wednesday of January AND January 1st which means it’s time for our linky – Math IS Real Life and time to wish you a HAPPY NEW YEAR!!! 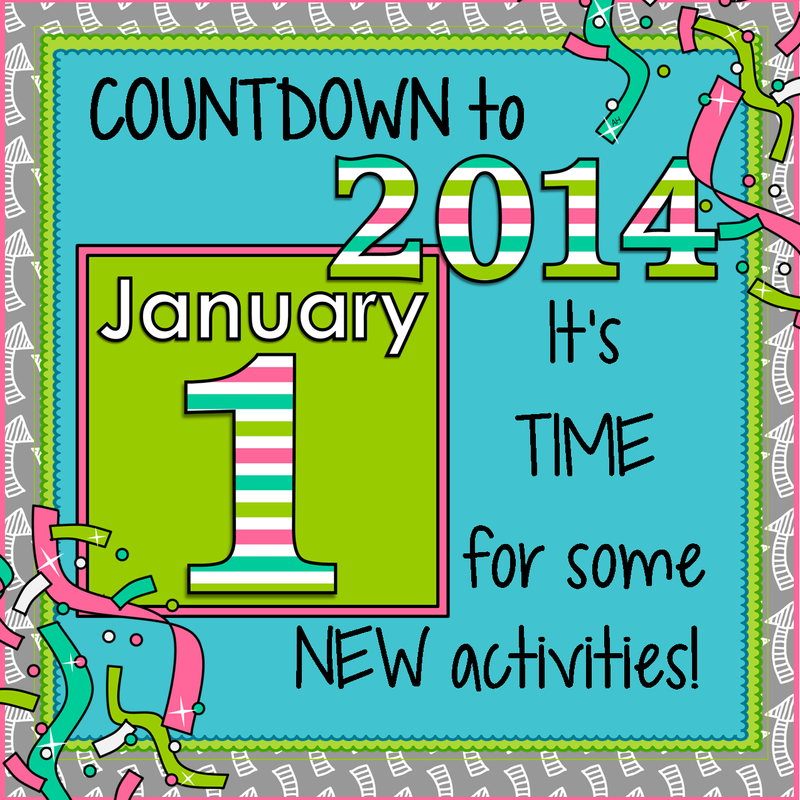 If you joined in on our Countdown to 2014 Giveaway, stick around, we’ll be displaying the winner at the end of post! If you want to see how the linky works, or just want other real world math ideas, check out our Pinterest Board of all the posts so that you can look back and find some great ideas and REAL pictures to use in your classroom! 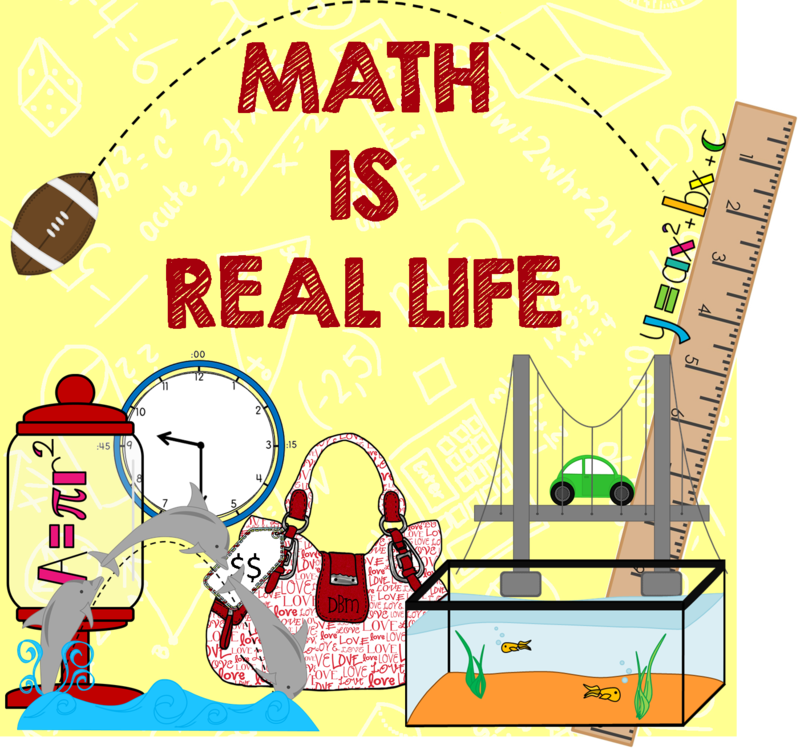 This month’s Math IS Real Life idea came to me VERY EARLY in December when the first snow fell! We don’t often get a lot of accumulating snow where I live, but our first one this year left us with 7 inches. Thankfully for us, we thought ahead and put the cars in the garage so it was easy to shovel all the snow out. As my husband and I were shoveling it occurred to me that we were shoveling a lot of snow and I wondered exactly how much…. no, really, that thought really did cross my mind! So, I decided that I would take a few pics, keep track of the snow that has fallen in the month of December and determine just how much snow we have shoveled! Here’s a picture of our driveway before we shoveled. Here’s a picture of the driveway after shoveling! So here is a quick diagram of my approximate driveway – it actually tapers a bit at the end, but I didn’t need an EXACT measurement of how much snow we have shoveled, just a really nice estimate. Our driveway covers 880 square foot of property which is equivalent to 126,720 square inches! Yikes, that’s a lot of coverage even without any snow! Our three snows were 7 inches, 3 inches, and 3 inches respectively, for a total of 13 inches in December (that’s A LOT for us!). 13 total inches deep * 126,720 square inches of driveway = 1,647,360 cubic inches of snow removed in December! That’s equivalent to 953.33 cubic feet of snow removed! YIKES! And, if that weren’t enough snow…. my in-laws live around the corner! Whenever possible, we like to sneak over and clean their driveway before they have a chance. They typically don’t move their cars inside the garage. While this makes it a bit more complicated to shovel around, it does mean less snow to remove. We only were able to get their driveway shoveled two times – the 7 inch snow and one of the 3 inch snows, for a total of 10 inches of snow. Their driveway takes up about 800 square feet of property which is equivalent to 115,200 square inches of driveway. 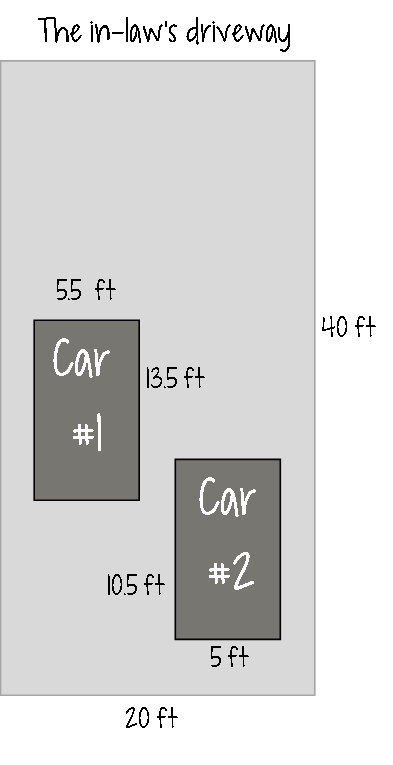 Car #1 takes up 74.25 square feet of surface (10,692 square inches). Car #2 takes up 52.5 square feet of surface (7,560 square inches). Now that the area of the driveway with the cars has been calculated, we can deal with the snow accumulation. Lucky for us we only dealt with 10 inches of the snow!!! WOOO LOVE MULTIPLES OF 10!! So….. 969,480 cubic inches of snow were removed from my in-laws driveway or 561.04 cubic feet. I was so busy trying to sneak in this shoveling that I forgot to grab a before picture of my in-law’s driveway… but here’s an after! AND….. the TOTAL amount of SNOW REMOVED from BOTH driveways in the month of December ……….. *DRUMROLL* ………. 953.33 cubic feet + 561.04 cubic feet = 1514.375 cubic feet of snow removed. You can download the FREEBIE by clicking on the picture below! I’d love for you to leave me some feedback LOVE on TpT too! Imagine extending this even further and having students “charge” a price per cubic inch! Heck, I’d be willing to charge just a penny per cubic inch! That seems like a deal…. right?! AND for all of you who have stuck around this far… it’s time to announce the winner of my Countdown to 2014 Giveaway! I’ve had so much fun reading your comments over the last 5 days! 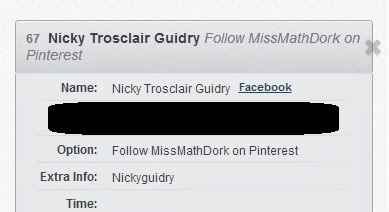 I really hope to create some more helpful items and blog posts to help out my fellow math dorks! Entry #67, Nicky Guidry! CONGRATULATIONS! Please send me an email at MissMathDork@gmail.com so that I can get you your $25 gift certificate to your choice of either Amazon or TpT!! 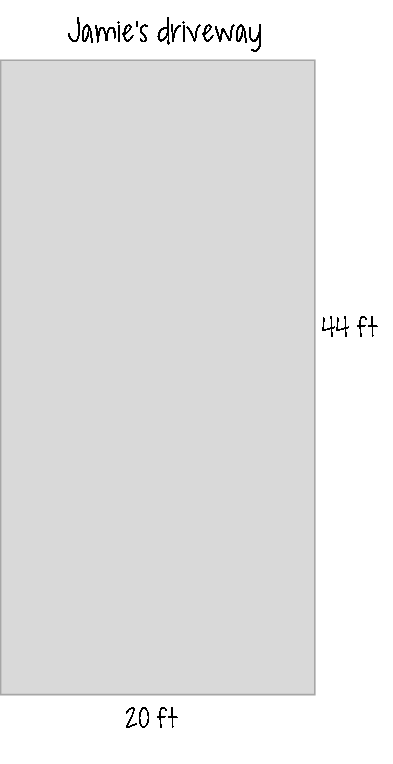 Categories: #mirl, computation and estimation, geometry and measurement, holiday, math is real life, mathematical reasoning, and mental math. I love this snow math problem! We got 9 inches early in December, rare for us! My hubby did all the shoveling and now I want to calculate how much snow he shoveled! I love this linky party! Thanks so much, Rissa! The first time we went out to shovel, I looked at hubs and said “HEY! this will be FABULOUS for MIRL!”… he just laughed at me and shook his head 🙂 Thanks so much for stopping by! Awesome post! I look forward to linking up in February. I’ve got a great project that I want to share. LOVE this linky so much. Thanks so much Adrianne! I really enjoy thinking about this one each month! The idea was in my head for a while and I love to see it grow each month! Can’t wait to see your project next month!